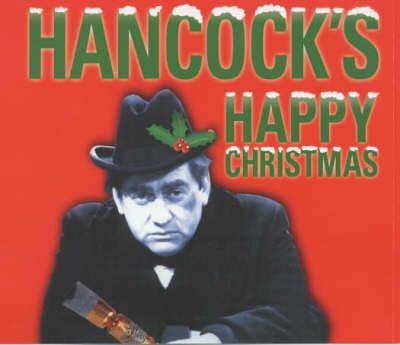 Celebrate Christmas at 23 Railway Cuttings, East Cheam with the lad himself, Anthony Alysius St John Hancock, in these four episodes filled with his own unique brand of seasonal cheer. Hancock's Happy Christmas (23 December 1956) : 'Christmas is going to be just like any other day in this house - dead miserable'. Can Sid make Hancock change his mind ? The Christmas Club (22 December 1959): After last year's measly dinner, Hancock decides to be well prepared and save some money with the Christmas Club. You just know it's going to be disastrous! Bill and Father Christmas (25 December 1958) : Bill still believes in Father Christmas! Finding out the truth sends him into a shock - time for a little regression therapy... The Diary (30 December 1956) : A New Year prompts Hancock to review his giant lock-up diary in which he records all memorable events. But Bill has a different opinion about entries such as 'This morning I had an egg for breakfast' and 'It's raining'. 2 CDs. 2 hrs.